Invasive weeds are an extremely serious problem. An estimated 4,600 acres of public natural areas are lost to invasive exotic plant species every day. As invasive weeds spread rapidly and dominate new areas, they displace desirable plants in our yards, on our farms, and in our forests. The negative effects of weeds include increased erosion, decreased stream bank stability, increased maintenance costs for farms, fewer wildflowers, and less food for fish and wildlife. 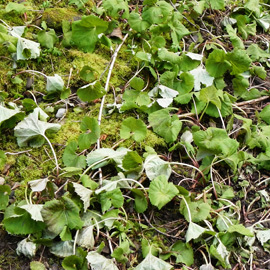 This section can help you identify the invasive weeds that are most common in our area and the best methods to control them. We also have information to help you learn the new weeds that are moving into or may move into our area. You can also get involved as a weed watcher and help us nip these new invaders in the bud, literally, to prevent the next nasty weed from getting established. For some weeds, we offer assistance with control.